Myth 1. 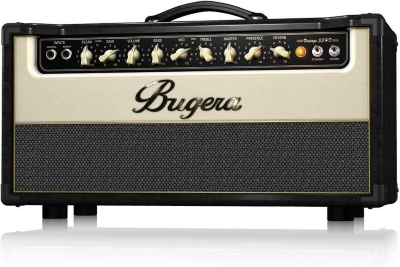 The wattage on cheaper tube heads is too low for live performance and only good for practice. Myth 2. The stock tubes on budget models are of poor quality and need replacing immediately. Firstly, wattage alone is not an indicator of overall power/volume. If you're used to basing your output on solid state wattage (which tends to be in the 50-150 watt range for typical small-med venues), you'll be surprised at how far as little as 15 tube watts will take you in comparison. 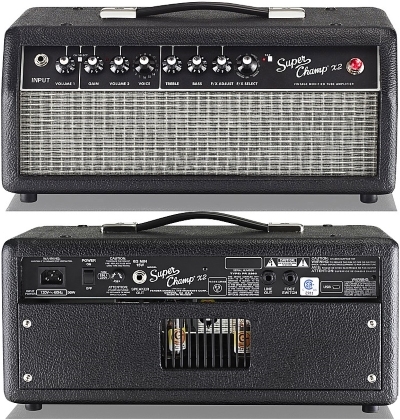 In short, the below selection of tube heads have enough power for small-mid size gigs. As for the second point, these top 5 picks stand above all others in their price range (under $500) as far as stock quality. If you're on a budget, you won't want any additional costs, and rest assured you won't need to change anything with these highly praised heads to get that unmistakably rich and dynamic tube sound. Defining Features Basic operation. Ultra compact & lightweight. Aux-in for MP3 or CD. Dual channel. Powerful (55 watts). 3 band EQ. Vintage tone. Built in Tube Screamer distortion circuitry. Several switches & 3 band EQ for sonic tone shaping. Dual channel. Customisable effects through a tube amp. The Micro Terror may look cute and dinky, but it won't have any trouble powering a 4x12 cab and sitting with the drummer. 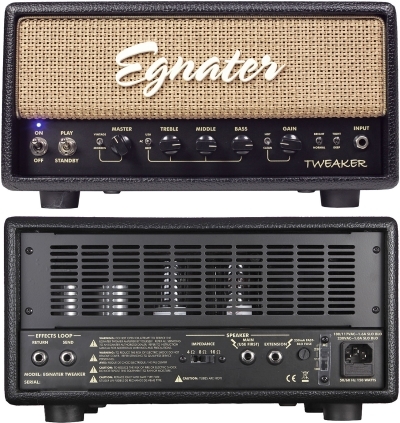 The MT is a hybrid head, meaning it has a tube pre-amp with a solid state power amp. Less to go wrong/replace and it still means you get all the main benefits of tube driven tone and that distinctively "British" Orange sound. There's not much to play with on the front, which the minimalists among us would consider a plus. With only one tone knob, there's not much in the way of nuance when shaping your sound. But this is perhaps the loudest and proudest "one trick pony" there is in the budget amp head market. If you like the Orange sound (see the video demos below), rest assured that's what you'll get from the moment you plug in. The tone knob itself is rather sensitive, so users have to adjust with extra steadiness in their hand. 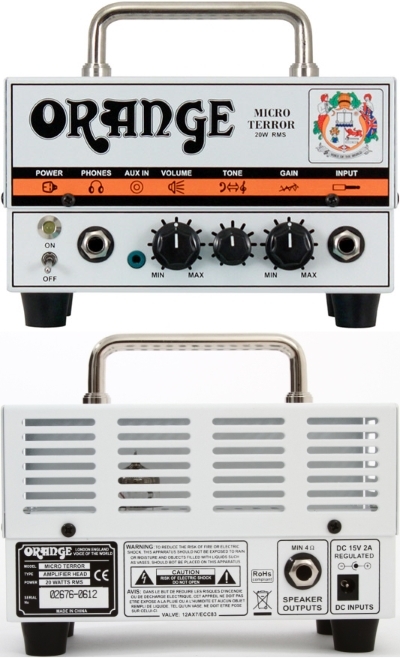 It's clear that Orange have tried to cram as much range as possible into the single EQ control. As you swell the gain, the warm cleans are given a satisfyingly natural and open break up crunch suitable for classic rock and more "poppy" rock styles. Just don't expect anything dense enough for metal or shredding. But then, this is a classic Orange we're talking about. Of course, pedals are always an option to add some layers, and users report that their effects sound great in front of the Micro. For those who want to retain that authentic vintage tube vibe but with the convenience of two independent channels. The V55HD, like its popular 22 watt combo version, delivers cleans and crunch in one footswitchable unit. Add to that built-in reverb and a useful mid boost switch, giving you more control than most amp heads in this price range. 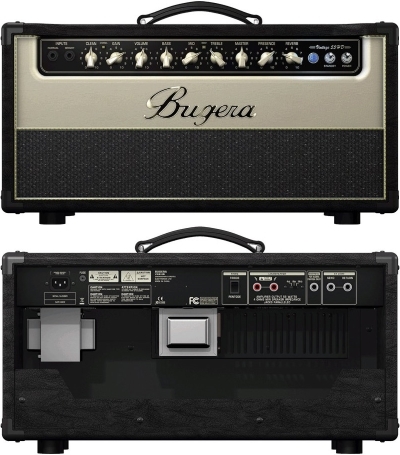 Users generally agree that the greatness of this head is embodied in its cleans, with the gain channel being a useful option but with less character than many of the single channel contenders. Output can be scaled back using the rear pentode/triode switch (55w to 22w) for those quieter bedroom practices. This is not merely like turning down the volume, rather a way to keep the tubes working hard for your tone at a more manageable level (for example, if you prefer to crank the master to get your desired tone). There's a sense that Bugera have tried to make the V55HD cover all bases, and it's certainly far from the one trick pony of the Micro Terror above. It gives you all the room you need for experimentation and finding that sweet spot. Rugged Ibanez construction with built-in Tube Screamer overdrive circuitry. This is a powerful combination for anyone who wants the thick, meaty, mid-heavy overdrive of the now legendary TS pedal directly through the punchy warmth of tube amplification. A look at the rear panel reveals a generous array of cabinet outputs. Another useful addition to the spec includes a pentode/triode switch to keep your tone nicely saturated at lower volumes (from 15w down to 5w). It's far more capable of handling metal than the previous two vintage picks, but still tameable enough to deliver deep, rich and organic clean tones (thanks in part to the 6V6 power tubes) with the slightest of optional break up distortion. Those who like to play tight between clean and distorted will love the TSA15H's ability to put you right on the edge. Experienced users got more than they expected, with some feeling the TSA15H puts far more expensive amps to shame. Tweaker by name and highly tweakable by nature (sorry, that was terrible). With 5 onboard switches (Vintage/Modern, USA/Brit/AC, Hot/Clean, Bright/Normal and Tight/Deep) in addition to the standard 3 band EQ, there's plenty to shape your tone just how you like it. There's also plenty of headroom for your cleans at higher volumes while a twist of gain will satisfy most rock appetites thanks to the switching capabilities. The Hot/Clean switch helps open up or tighten the overdrive, with the Vintage/Modern and USA/Brit/AC switch providing more options for boosting and/or changing the texture between crunchy and smooth. However, under all this "tweakability" lies solid tube tone that begs to be pushed beyond bedroom volumes and has surprised even the most seasoned working musicians. Loud enough to over power even the heaviest handed drummer, with all the low and high end presence you'll ever need, the Tweaker proves 15 all tube watts is indeed enough for most live situations. The Super Champ X2 is, simply put, a tube amp head with built-in digital effects - what is often referred to as "vintage modified". The idea is players who want an all-in-one effects solution, but still crave that authentic tube tone, can enjoy the best of both worlds. The X2 can connect to your computer via USB where you can load up the FUSE software and create/edit your own effects. You can even download effects created by members of the FUSE online community, tweak them to your tastes and store them on the amp. Welcome to the 21st century! There are also 16 editable amp models to choose from. 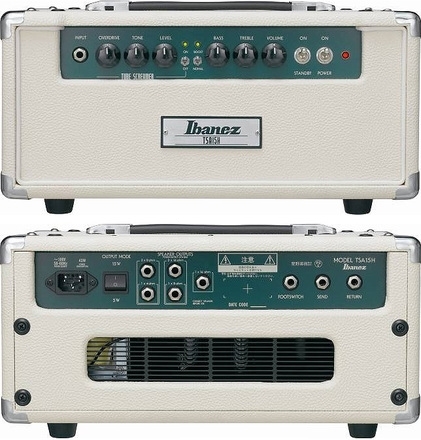 So this is a versatile and heavily customisable amp. Of course, if you like you can forget about the software and just use the tubes in all their naked glory, which is what some have done, purely for that classic Fender tone - bright, clear and jangly. At such a ridiculously low price, the digital extras really are just an added bonus. So versatility is what clearly separates the X2 from the other heads on this page, having the guts to accommodate even the most extreme metal styles. Many users were undoubtedly expecting to hear some hint of compromise, but it appears as if Fender really have pulled off the all-rounder, master of all trades amp head.